Facebook Instant Articles kya hai? 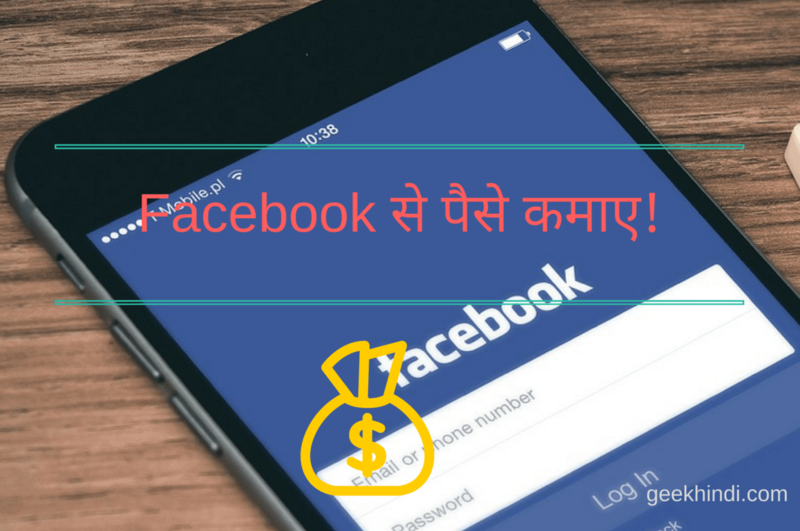 What is Facebook Instant Articles in Hindi? यह पोस्ट में बताई गयी मेथड के लिए आपकी website WordPress पर होनी जरुरी है. Step2: WordPress dashboard से instant article के option पर क्लिक करे और plugin section से Follow these instructions पर click करे. Step3: अब नए window में से Facebook page select करे जहा पर आपको instant articles implement करना है. लिस्ट के निचे By proceeding, you agree to the Instant Articles Terms पर क्लीक करे और Access Instant Articles Tools बटन पर click करे. Step4: New popup window में instant article enable कर दिए जाने के बारे में बताया जायेगा. यहाँ पर Continue के button पर click करे. Step5: अब न्यू window में facebook page का instant articles configuration page open हो जायेगा. यहाँ से tools section से निचे दी गयी सभी steps complete कर ले. Step6: Connect Your Site – यहाँ दिया गया कोड plugin के facebook page ID section में paste करे. अब आपके साईट का URL दिए गए box में type करे. अब claim URL button पर click करे और site verify हो जाने की पुष्टि करे. Step7: Production RSS Feed – यह box में instant articles feed URL type करना है. यह URL कुछ इस तरह होगा. URL type करने के बाद save button पर click करे. facebook instant articles की style set करने के बाद save option पर click करे. Step8: अब आपको facebook instant articles review process के लिए 10 posts submit करने है. For new Website – न्यू website के लिए 10 पोस्ट क्रिएट करे और Publish के दे. For Old website – अगर आपकी website में पहले से ही 10 से जयादा पोस्ट पब्लिश की है तो 10 पोस्ट को edit mode में open करे और Update button पर क्लीक करे. Step9: 10 post publish/update करने के बाद अब articles configuration page से Submit for Review button click करे. facebook instant articles setup यहाँ पर complete होता है. Facebook instant articles approve होने के लिए ५ दिन तक का समय लगता है. आप ५ दिन तक wait करे और इसके बाद facebook audience network के ads कैसे कगाये यह पोस्ट पढ़े. facebook instant articles के coding guiding के मुताबिक आपकी post instant article में submit नहीं हो पाती. 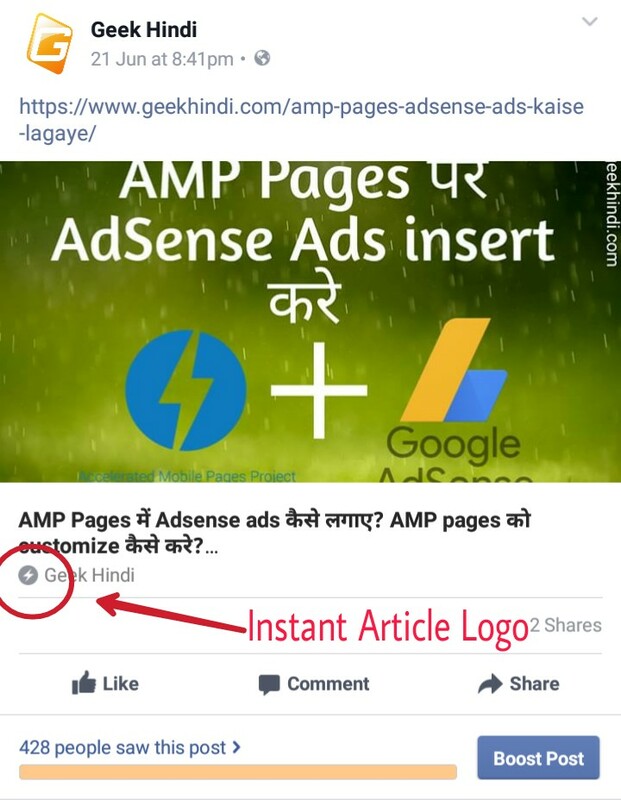 Instant articles की सभी पोस्ट को देखने के लिए page के Publishing tools – instant articles section – Production Articles में जाये. यहाँ से आप posts errors के बारे में पता कर सकते है. अगर पोस्ट में instant articles coding guidelines के मुताबिक नहीं है, लेकिन आपको वह पोस्ट एरर के साथ सबमिट करनी है तो plugin सेटिंग्स से Publish articles containing warnings के option के check box को tick कर दे. Thanks bhai ye to kafi accha tarika hai. Kya aap mujhe batayege ki apne apne blog me upr upr kesariya rang kese add kiya hai jo sabhi browser me aa jata hai. Hello Vandana Mam, Thanks for appreciation. Nrowser address bar aur mobile status baar me color add karne ke liye aap GeekHindi ka niche diya gaya guide follow kare. thank you sir , muje bahut acha laga yeh paadke again thank you….